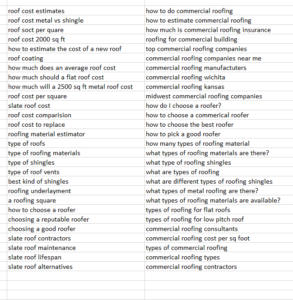 When it comes to being #1 on Google for keywords related to ‘roofing’, it’s surprisingly simple. The hard part is taking all the GARBAGE you have been told about ‘how to be #1 on Google’ and meta keywords, and algorithms, and all that nonsense – and throw it right out the window. Okay, with that done, let’s take a wide view of this, one that will make sense. When you search Google for, well, anything, what do you expect? My guess is that you expect the BEST POSSIBLE RESULT based on what words you typed into Google. 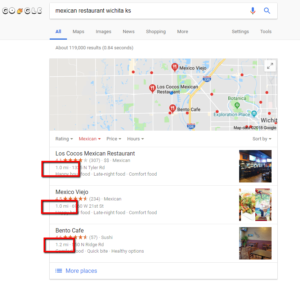 If you search for ‘Mexican restaurants’, you don’t expect to find restaurants that are in Andover when you are right off West St.
You don’t expect to find results for locations that have no reviews, no images, and a website that hasn’t been updated in years ranking higher than results with glowing reviews and tons of pictures. No, you expect to find the best possible results right at the top. In the above, the top result is a MILE away, medium priced, 307 reviews (wow), and has 69 photos. 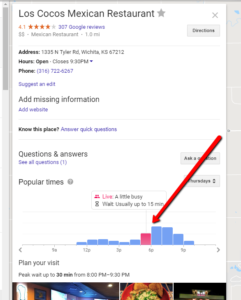 As seen below, Google even shows me that on THIS day and at this time, there may be a 15-minute wait and that they close at 9:30. Google crams a ton of helpful information into its search results, just as we have all come to expect. That’s why Google conducts 3.5 BILLION searches a day and made 60 BILLION dollars from paid ads last year. Okay, if we know what Google is trying to do – show you the BEST possible result – how are they going about that? The complicated answer is that they use a complex algorithm that is updated hundreds of times a year, which is true, but that’s not the ‘easy’ answer I promised. 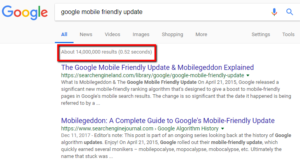 The easy answer is this: based on what your website and online presence is saying about your business, how easy is it for Google to TRUST that you are the BEST possible result based on what somebody typed into Google. It’s really that simple, but there is a lot to unpack. One of the biggest factors is simply what someone typed into Google. This will vary widely, and I will dig into that in the ‘content’ section below. ‘Trust’ is the name of the game, and just like in real life, trust has to be EARNED. They don’t just pass it out easily. We need to build trust in some areas, and often, just as importantly, we need to get rid of things that are hurting that trust. 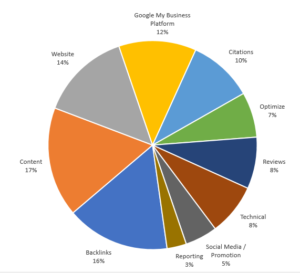 This is why we start all our Google campaigns with a deep dive into how our clients compare in dozens of areas against all their competitors. This can be eye opening and allows us to see (i) who isn’t trying at all when it comes to Google; (ii) who likely did some online marketing in the past and it has helped them (and how we can build on that); and (iii) who is being held back on Google by poor online marketing (i.e. work don’t sloppily or unethically). 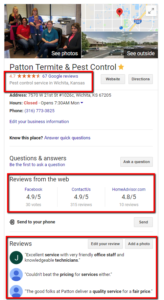 Farha is the ONLY roofing company in Wichita that is actively making their profile on Google a real priority. All States is clearly pushing reviews and doing great in this area (a definite ranking factor). 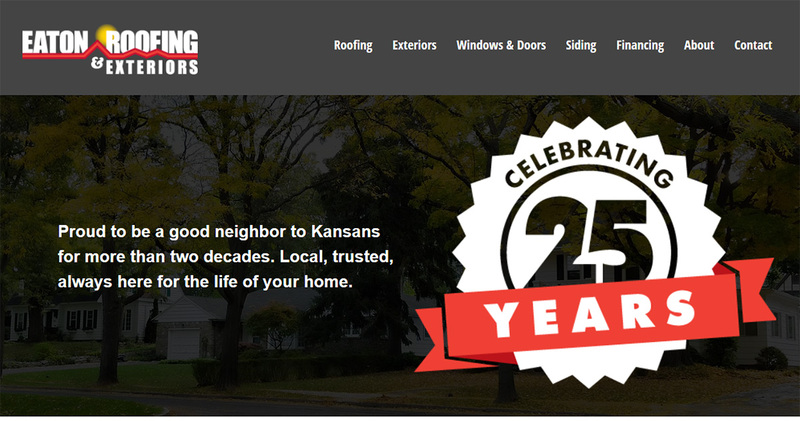 Roofing Mechanics, Mid Kansas and Gary W. all have websites that are not mobile friendly. 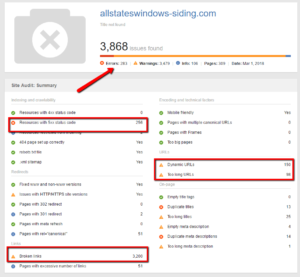 All States has many links and domain authority and it shows in how many keywords they are ranking for. Wiesen is stealing the show when it comes to citations which is super important for ranking well locally. Site speed is a sore point for almost everybody and is often an easy fix. 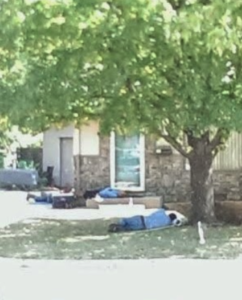 There are technical factors that are holding back Farha, All States and Mid Kansas. Once we know who is doing well in each area, we’re able to put together a game plan so we see results as quickly as possible. 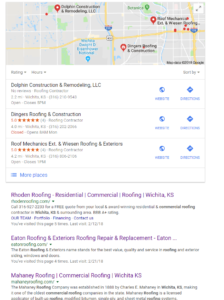 I will delve into just three of these areas to give you an idea how we could help Eaton Roofing own that first page of Google in Wichita. I am going to start with an area that is a massive opportunity for every roofing company in Wichita. 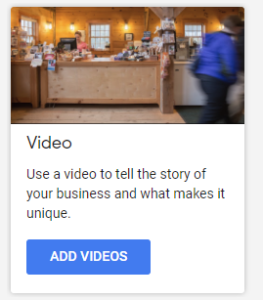 Google provides a platform that allows business owners to update their business details, add photos (and a lot more), verify it with a postcard in the mail, and have great control over what shows up in this box when somebody Googles your business name. However, more than choosing what potential visitors see, this is your opportunity to show Google who you are, what you do, and why you deserve to be #1 in your niche. 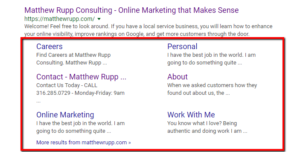 These all appear in Google’s initial view before visitors even click through to your website. If you are the only roofing company who is taking advantage of these features, that’s like being the only Mexican restaurant with a menu, the ability to make a reservation, see busy times and when you close right from the home page – that’s a big advantage. It’s not hard to see that Google is heading in a direction of cutting the need to visit a company’s website all together. Think about it: what do their users want? Quality information quickly, with as little friction as possible. If Google can give their users what they are looking for and improve their experience without the need for a company’s website, of course, that’s what Google will do. There’s no guarantee that these websites will provide customers with what they seek. Google’s primary focus is to maximize the user experience (thus keeping the walls high and protecting the billions a year they make from paid ads). This is why Google came out and said that if your website loads slowly, you will rank below fast sites. There are over a million website pages just on this specific keyword alone. There are millions of pages that discuss the importance of your website being mobile friendly. The reason why they came out with a massive updated called ‘Penguin’ that penalized sites with ‘thin’ content. This just takes it to the next logical step. In my opinion, this is an opportunity for Eaton Roofing to really lead in this area. 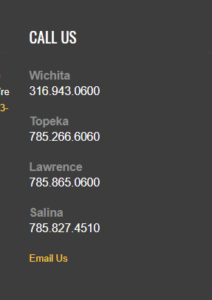 There isn’t a single roofing company in Wichita that is capitalizing on their Google profile like they could! 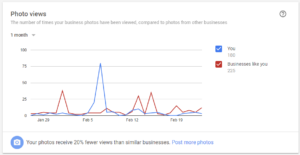 To give you some perspective as to how big of a deal photos are on your Google My Business profile, when I log into my clients’ Google profile, photos are mentioned over and over! 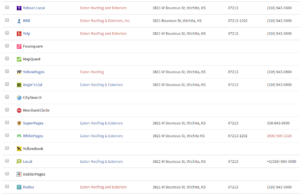 We can add photos to all these different areas to show who Eaton Roofing is and what you do! My team and I have a great deal of experience with the Google My Business platform and I have some exciting ways to put it to work specifically for a roofing company. Invariably, this leads to increases in views to photos, clicks to call, maps, and much more. 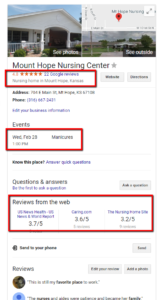 If the Google My Business profile was low hanging fruit, then quality content is even lower. It’s not even low hanging fruit, it’s just lying on the ground waiting to be picked up (and put in the bank). You will like this one. I promise. This shows that, regardless of your industry, most of the searches revolve around what are called ‘head terms’. These are search terms like ‘roofing’ ‘dentist’ or ‘shoes’. They have massive search volumes, but it’s foolish to try and rank for them. Think about it. Which would you rather have? 100 visits from people searching for ‘roofer’ – this includes people looking for a roofer, but also those who want to work for roofers, sell roofing equipment, get a small roof patched, temp agencies wanting to sell their services, spammers and marketing companies. There is no intent. Wouldn’t it be better to have 5 searches for ‘The roofing company that did Larksfield place’? My guess is you would rather have those 5 targeted, high quality visits. 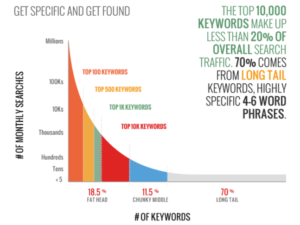 What is so important about this image is that 70% of all searches are in what’s called the ‘long tail’, the longer, more specific keyword phrases. Google serves up over 3.5 BILLION searches a day, or 40,509 per second. Of those, 15-20% have NEVER been searched for before. That’s pretty mind blowing when you think about it. This is partly because people continue to expect more and more from Google because Google continues to get better and better at what they do. Another reason is because very often, when people turn to Google, they aren’t looking to hire a plumber or an electrician or BUY anything (yet). More often than not, they are somewhere along the buying cycle. They are likely doing research, looking for a shortcut, questions to ask, trying to avoid getting ‘ripped off’. Is there a shortcut or ‘easy’ solution? It might be a DIY video, questions to ask or how to find a good roofer or new bike, but more often than not, somebody has some kind of a pain point and they turn to Google BEFORE they are ready to ‘buy’. This is where we want to meet them. 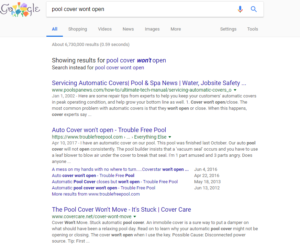 Last summer, when my pool cover wouldn’t open, the first step in solving my problem was to Google ‘Pool cover won’t open’. Of course it was. I didn’t know anything about pools; maybe there was a shortcut like the red button on the bottom of the garbage disposal (there wasn’t). Before I spend $100 on the pool guy and wait a WEEK for one of them to come out, I am going to see what I can find. This search term is a GOLDEN opportunity for every pool company here in Wichita. Massive! But what do I find? Not a single local company! Some of your customers are in the early researching phases. This could simply be asking a friend who they recommend. Maybe they’re looking at a few websites or asking their father-in-law, or a neighbor, what they recommend as far as shingles or different types of roofing. They aren’t in a hurry, but they know the need for a new roof is approaching. It might be a year or two, maybe five depending on the person’s desire to push the envelope. Maybe they are hoping for a bad bit of weather, just enough to make it their insurance company’s problem. Some folks are further along, and they are thinking along different lines. 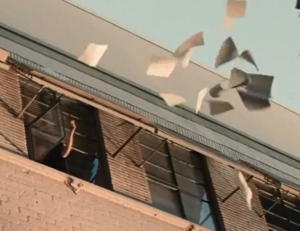 Maybe that weather came through and they read an article, saw an ad, or went to the home show; it’s tax time and they know they should stop putting it off. Other folks haven’t given it a second thought until a friend says, “Man, your roof looks terrible.” Or maybe that wind storm blew a bunch of shingles off. 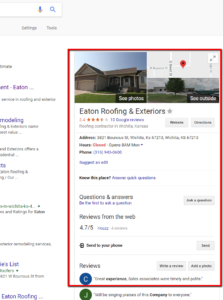 No matter what they’re searching, the bottom line is they aren’t quite ready to pull the trigger and call a company YET; however, they are using Google to do ‘research’, and that’s when we want them to find Eaton Roofing. These are the ‘easy’ fights because nobody else is fighting them! 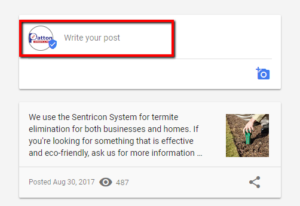 I could show you HUNDREDS of additional examples, some of which receive hundreds of searches a month. We know that more often than not people don’t start their Google searches by looking for a service provider, and even those that do are using HUNDREDS of different keywords to help them find the same thing. So, how do we use this to our advantage? 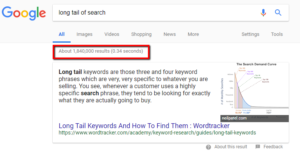 We want to find keywords that have enough volume to be worth pursuing, but have intent and not a great deal of competition. Example of work we did for a spine surgeon here in Wichita. Ranking for ‘spine surgery’ would be almost impossible. It has over a MILLION competitors and an entire list of paid ads. 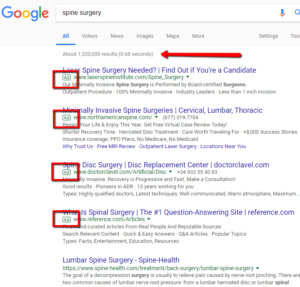 But ‘scoliosis in adults’ has less than ONE PERCENT of the competition as ‘spine surgery’, two paid ads, and the second result is a local CHIROPRACTOR! Like I said, it’s all about fighting the easy fights! 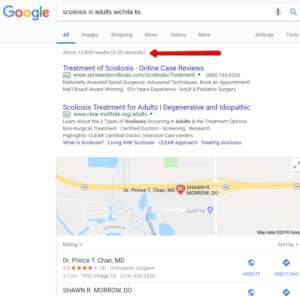 If you are searching for keywords, like scoliosis in adults, back surgery procedures, scoliosis treatments in adults, types of scoliosis, narrowing of the spine, scoliosis causes, symptoms of scoliosis, exercises for scoliosis, bulging disk treatment – clearly ‘spine surgery’ is a future possibility. I want to show the Eaton team how to ‘catch’ those early visits while they are doing ‘research’ and the competition is LOW (in your case almost non-existent). Another example is a page we created for Cambridge Family Dentistry here in Wichita. 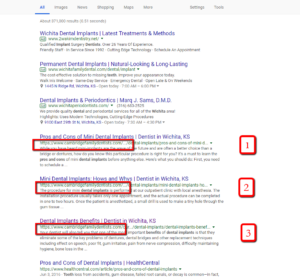 Almost 15% of the traffic to their site is from keywords related in one way or another to the ‘pros and cons of dental implants’. Dental implants are expensive and a big step for folks to take, so of course they research the subject. 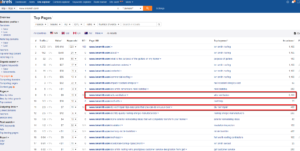 My client is the top THREE listings under the paid ads for this keyword! Let’s take a look at Mr. Roofer in Atlanta, GA. When I run their site through a powerful tool called Ahrefs, I can see which pages of their site are bringing in the majority of their traffic. #9 on the list below is the actual homepage. A comparatively small percentage of traffic is coming to the homepage FIRST. It’s a common misconception that the homepage is the most common way ‘into’ your site. Google doesn’t rank websites, they rank PAGES of websites. Each of your pages is essentially a doorway into your site. The HIGHEST viewed page on this site, which brings in more traffic, by far, than any other page, is this one – http://www.mrrooferatlanta.com/atlas-chalet-shingled-roof. Clearly ‘atlas chalet shingles’ is a popular search term that this company is capitalizing on! 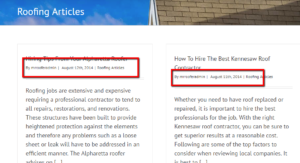 ‘Best roofers’ is another popular search term they are doing a great job at capitalizing on! ‘Roofing articles’ is bringing in almost 3 times more visits than the homepage. That will give you some idea of just how valuable relevant, useful pages are, and this page hasn’t been updated since 2014! This relatively simple, thin page of content brings in 700 visits a month! I wouldn’t think that ‘flashing repair’ would be a valuable keyword, but that just goes to show you how MANY people are using Google and the WIDE variety of keywords they use when searching. 250 visits for keywords related to ‘specialty roofing products’. Wow. I haven’t even heard of ‘stone coated steel roofs’, but it’s bringing in 800 visits a month, so it must be popular! The most powerful pieces of marketing ‘GOLD’ that exist for practically every successful service business in America is all around them. It’s telling the stories of the people that have been with them for 20+ years. It is the guy who has been with Fenix Heating and Air (a client of ours) for over 30 years and the passion he has for decorating the showroom every year for Christmas. It’s the service manager at Fenix who started in the HVAC industry sweeping the floors at his dad’s HVAC company over 40 years ago. It’s the fact that Hanna Heating and AC (another client) is the ONLY third generation, family run, heating and air company in Wichita with over 40 trucks in the field. It’s the nightmare jobs that few companies (very few) went far out of their way to make right with the customer; it’s the jobs that 1 or 2 (or more) other companies right here in Wichita botched and treated the customer terribly that your team made right and earned a customer for life in the process. It’s a case study we are working on for Fenix Heating & Air Conditioning. They replaced a Lennox system for a customer who had one that was almost FIFTY years old and thought it was time for an upgrade. When you tell those stories, when you show off the depth of your team’s knowledge and experience – show that they are genuinely helpful and provide real value to your ideal client, you are NATURALLY creating content. 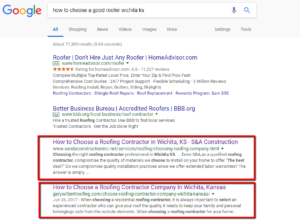 You are positioning yourself perfectly to come up for hundreds of different keywords related to roofing right here in Wichita. Teaching consumers how to recognize the storm chasers that swoop in when a storm happens is invaluable for your website! The bar is set fairly low when the top results for ‘how to choose a good roofer’ is S&A construction and Gary Wilbert roofing. As a side note, before we move on, the very basic website for Gary Wilbert roofing is getting over 1,000 visits a month. If he was driving that much traffic using paid ads, it would cost just over $11,000 a month! Article I wrote on the subject. A ‘backlink’ is anything you can click on website A that takes you to website B. It might be an image, a line of text, a video, anything really. If you can click on it and be taken from that site to yours – you have a link from that site, a backlink. To Google, links are basically votes of confidence. Back when I was in the party rental business and trying to get my website to the top of Google, I learned the value of links. Over the next year I was able to get links from the City of Wichita (park department), Light the Night lymphoma walk, Police and Fire games, Wichita Wingnuts, The Arena, Thunder Hockey, Carrie Rengers and Riverfest, and many more. To Google, this made my website look incredibly authoritative and trustworthy. Actually, when Google first began in that garage back in 1998, it was initially called ‘backrub’. What those two college kids did that set Google apart from the other search engines at the time was rank websites according to how many other websites were linking to it. In the beginning, it was literally that simple. If you were a dentist in Dallas, TX. and you had 3-4 other websites linking to yours, you were #1 in that city. Since then, of course, it has gotten immeasurably more complicated, but to this day backlinks are without a doubt one of the MOST powerful ranking factors. Domain Authority is a combination of all linking signals, number of links, authority of those links, age of links, anchor text of links and a number of other factors. For example, Dingers has very few links, with only 20, but a relatively high DA at 36. This tells us that the links they do have are of high quality. Whereas All States has the most links, with 775, but a DA that isn’t much stronger than Mahaney who has 15% as many links. When it comes to links the name of the game is QUALITY, not quantity. We help our clients build a natural, diverse set of backlinks to give their content the trust and credibility it needs to rank well. 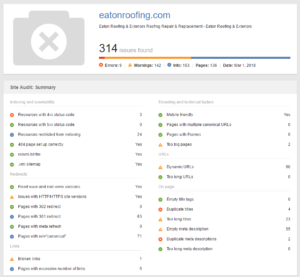 We would help Eaton Roofing in backlinks by creating a list of ALL the links that every roofing company in Wichita (and the big guys from surrounding markets) have, sorting them by how much ‘weight’ they carry and then exploring this list for opportunities to build the same links for Eaton. 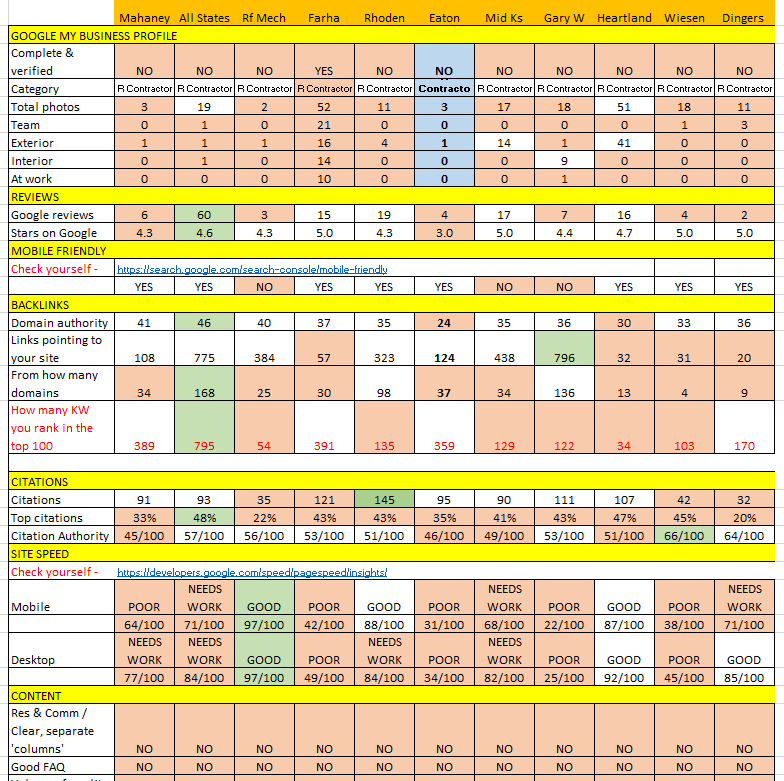 http://www.workpost.com/criskeete – This site has a DA of 41/100 which is very strong. All States has a link from this site and it appears anybody can create a profile at no cost. https://contractors.jameshardie.com/ – All States has a link from this site and it has a VERY strong DA of 79/100! http://www.socialbookmarkssite.com/tag/house-siding/ – This site is an example of a backlink that is actually hurting All States. It has a DA of 17/100. Once again, it’s all about fighting the easy fights! Some of the other areas we use to help our clients build links are: community involvement (which Eaton has! ), industry associations (which Eaton is a part of), spearheading local efforts to help homeowners (which Eaton has done), just to name a couple ways we can help. Before I wrap this up, I am going to QUICKLY summarize FIVE more ways my team and I could help put the Eaton website to work. Your website loading quickly is an important ranking factor. If you think about it, when somebody searches Google for something and they click a result, and the site loads slowly, they hit ‘back’ and try again. If another site gives them the same experience, then they didn’t have a bad experience with you, or the company down the street, they had a bad experience with GOOGLE. A company that makes 60 billion dollars off providing the best possible results is GOING to penalize sites that give their users a bad experience. Here is another really good one – https://gtmetrix.com/. 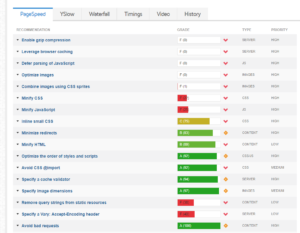 The technical aspects of a website are vitally important. I like to take a more holistic approach when it comes to SEO, but it’s important to make sure all the pages of your site are ‘crawlable’, make sense to Google and that there are no glaring red flags throwing a wrench in the works. You will want to clean up the potentially serious issue with HTTP vs HTTPS, but that’s an easy fix. What Meta Descriptions are and why they matter – https://yoast.com/meta-descriptions/. Eaton is doing quite well, comparatively speaking. This is how All States looks in comparison. 283 serious errors, 3,200 broken links and a number of other serious issues. Website navigation and structure is critical. Google is looking for the BEST possible result and they are looking at your website to help them determine WHO is the sharpest kid in class. Very often, website navigation and the structure of the websites they are looking at makes it downright difficult to see what you ‘DO’. This is All States (that could be about birdhouses or boat repair). You guys (not as bad as some, but we need to build ‘pillars’ under each service you offer). 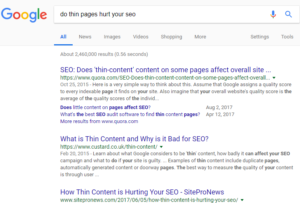 One of the biggest benefits of having great navigation and a solid site structure is that Google will show ‘sitelinks’ to significant areas of your website and not just the typical few lines like most businesses have This is a BIG advantage to take up this much of that first page on Google! Vs. the more typical results you usually see. 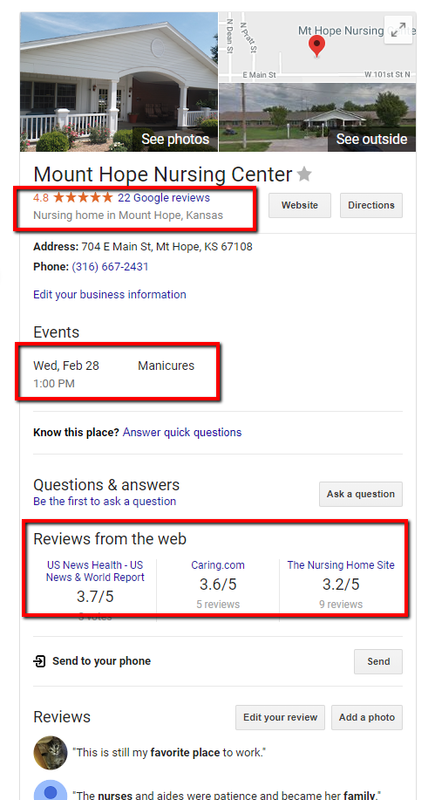 Citations are important because Google uses them, especially for local results, to gauge how trustworthy a business appears across the web as a whole. 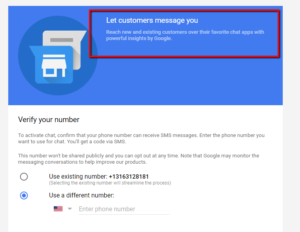 For example, if a business has 4 different addresses, 3 different phone numbers, and two different names in just a matter of a few years it’s going to take a TON of credibility in other areas for Google to consider them trustworthy! Eaton looks pretty good in this area. The good news is that there are very few errors. Evidently you have operated from the location on Bounous for quite some time. Actually, I don’t see ANY references to a previous address which is GREAT news! The addresses that do need to be cleaned up are just minor instances of ‘&’ vs. ‘and’. The citation score of 35/100 is just because Eaton has very few profiles on the most important citation sources. Just like backlinks, citations are all about quality (and not quantity). 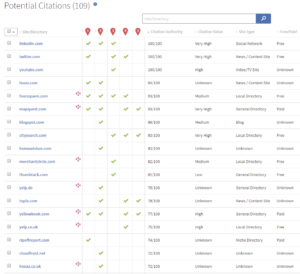 We also take it a step further and look at what citations are helping your competitors to rank well. #1 in the chart below is ‘New Image’, #2 is Rhoden, #3 is Heartland, #4 is Lee’s and #5 is Truett. Like I said, we love fighting the easy fights . I saved one of the easiest, highest impact ‘tasks’ for last. This one, after a few of the above items were resolved would, WITHOUT A DOUBT, increase the website traffic from Salina, Topeka, and Lawrence especially. If the Eaton team would put ‘locations’ in the main navigation and devote a ‘page’ to each of these locations complete with ‘news’ and relevant content to that specific market it would do wonders for their visits in those markets! 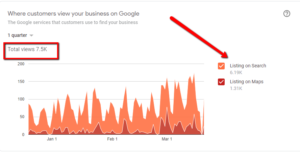 That was just a relatively deep dive into Google My Business, content and backlinks, with 5 more ‘quick wins’ there at the end. 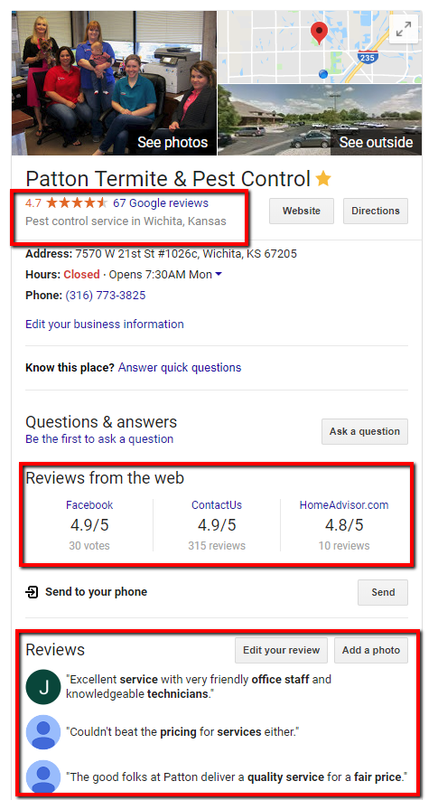 Hopefully my passion for wanting to help your team really ‘own’ that first page of Google when it comes to roofing in Wichita came across. I have had conversations with a couple roofing companies here in Wichita and not found the perfect fit. 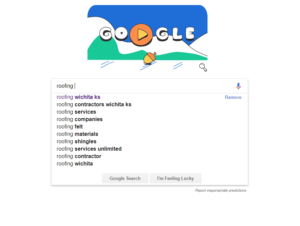 My goal is to work with ONE roofing company here in Wichita (only one) and really dive deep and take their success when it comes to Google personally and fight hard to make a HUGE impact. If you see the value in what I broke down above I would love to have a chat and discuss getting started. Matthew Rupp Consulting specializes in helping local service businesses make the phone ring.